I've had this laptop since 2009 and want to replace the screen guard. Didn't have something over the keys all the time and there are a few marks on existing guard. Can anyone advise of a place I can buy one? If THIS is what you are looking for, then it can be easily purchased from ebay or any local computer shop. No not the transparent screen covers, the heavy screen guard that's over the actual screen itself. Would require a little bit more clarification on this. Are you referring to the LCD or LCD panel? 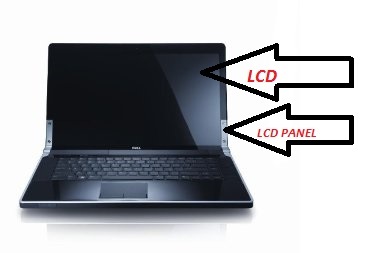 In your diagram it would be the LCD. It can come off and was just wondering if there was a replacement for it. The tech who replaced the keyboard awhile back jacked up the placement somewhat and it left imprints of keys on the LCD. Any help is appreciated. There is no "screen guard" or "cover". You'll need a new screen. As ejn63 correctly mentioned, you would have to replace the complete LCD screen. You can also purchase it from our Spare Parts and Accessories dept on 1-800-357-3355 (applicable for USA only).